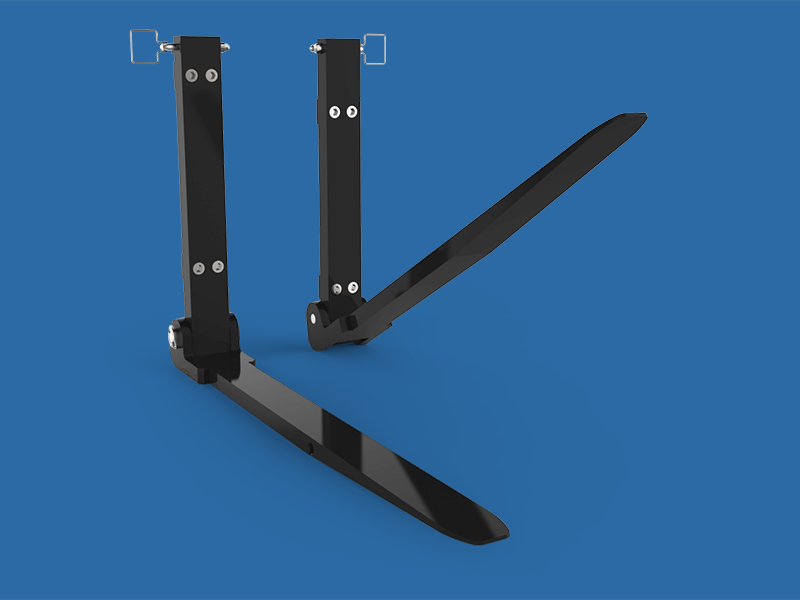 These forks fold up to enable lift trucks to manoeuver in areas where movement is restricted, i.e. elevators. Folding Forks consist of a blade, shank, pin and either a hook or shaft mount attachment. There is a chain attached to a pin that wraps around the blade. The chain locks into a pin retainer to ensure the blade is held in the vertical position. There are many variables to be considered when ordering a Folding Fork assembly, contact Cascade Fork Engineering.